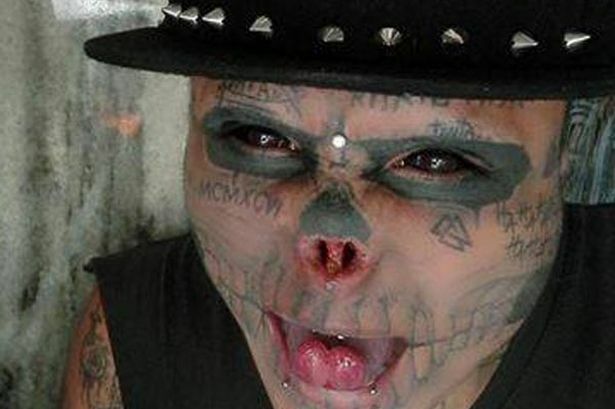 Eric Yeiner Hincapie Ramirez has spent thousands of dollars on extreme surgery and tattoos to turn himself into the walking dead and now calls himself Kalaca Skull. Ramirez has had his ears surgically trimmed, covered his face in tattoos, had his tongue split in two and tattooed blue, and most bizarrely paid doctors to remove his nose and earlobes. Ramirez’s radical transformation is something that he says he had dreamed of ever since he was a child, when he first developed his fascination with human skulls. But it wasn’t until his mother died, when he was 22, that he dared turned his dream into a freaky reality. “For me, a skull is like my sister, a part of my family really, I feel very attached to them,” he says. 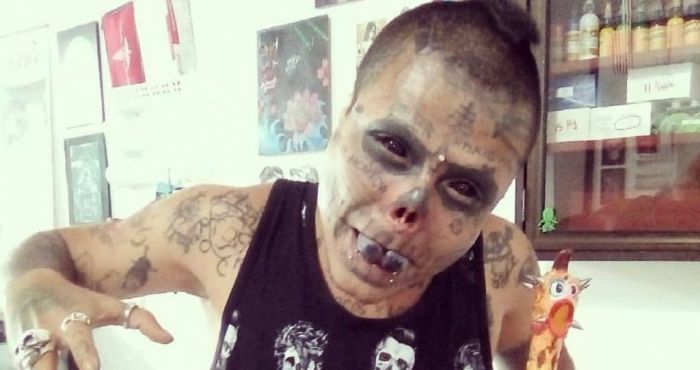 For the past two years Ramirez has been using extreme surgery to transform himself into Kalaca Skull and also gain a lot of South American body modification fans. 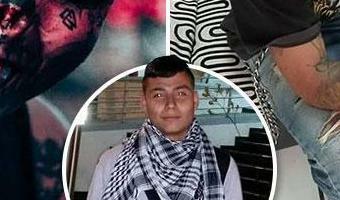 Kalaca Skull regularly posts pictures of his extreme look on social media. 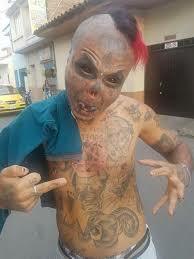 Ramirez / Kalaca Skull was the first person in Colombia to voluntarily have his ears and nose cut off and he admits his freaky look does make some people uncomfortable. Not surprisingly people often stare or cross the street when they see him. But the attention doesn’t bother him. Ramirez before his radical transformation.